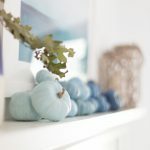 I’m sharing some of my fall decor with you today! If you are visiting from Honey Bear Lane, welcome! If you are just hopping on the tour, you are in for a treat! 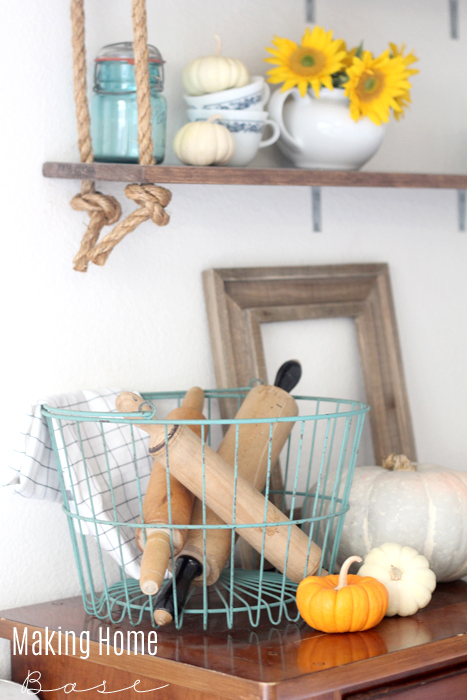 15 bloggers are opening their doors and sharing what fall looks like in their home! 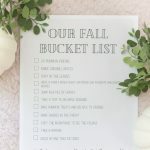 Ready to come take a peek of my fall home? 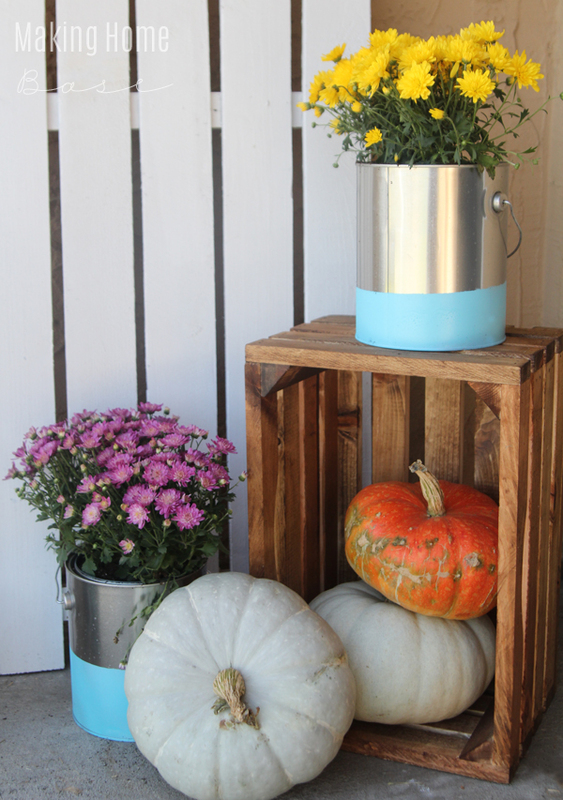 Our tiny porch got a little fall facelift with some mums and pumpkins. One of my favorite things about fall are the gorgeous fairytale pumpkins. And honestly who can resist mums! I went the nontraditional route and planted mine in paint cans. 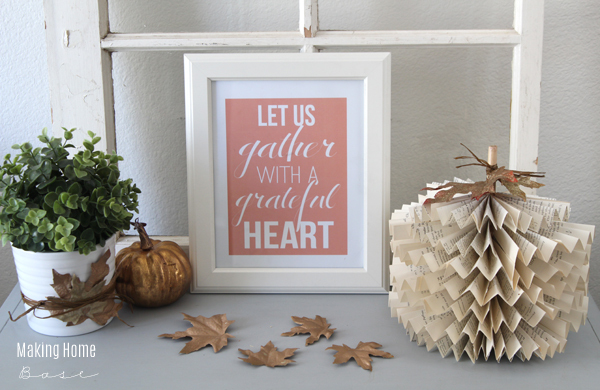 My entry displays a fun fall vignette. 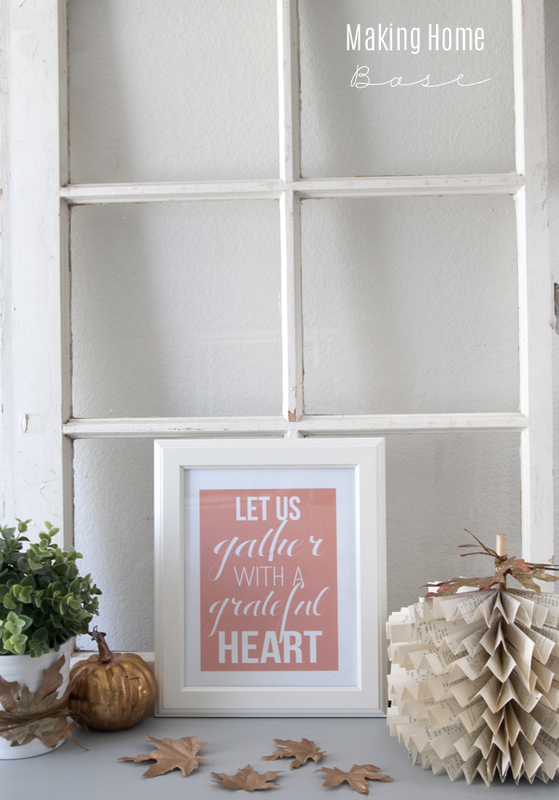 I printed this grateful heart printable as a daily reminder as we roll into the holidays. I love the coziness of fall and winter. I can’t get enough of warm throw blankets and flannel jammies. Anyone else? Our living room is super small so I don’t go crazy with seasonal decorating in here as not to clutter it up. I just added a few cozy throws, and some other small details. 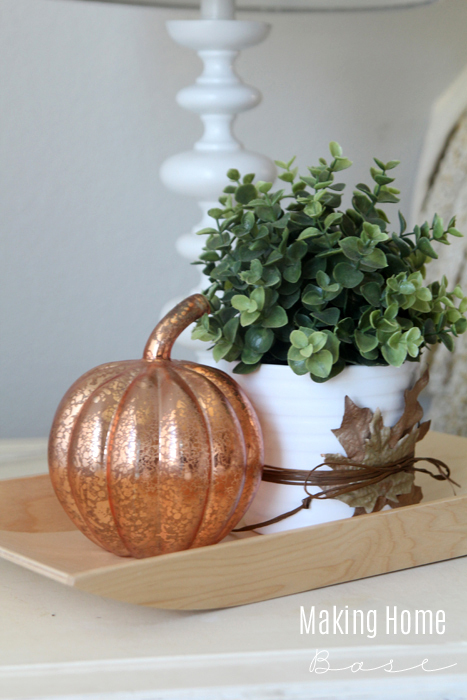 Like this copper toned glass pumpkin from Target. I am obsessed. My dining room got a few fall touches as well. You might remember my rustic shelves. I added some sunflowers and pumpkins to bring a feeling of fall. The opposite wall features a sweet little vignette. 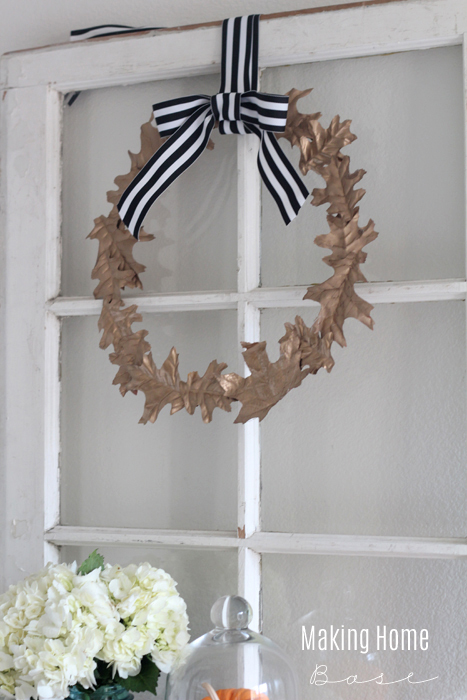 Fresh flowers and pumpkins with my gold leaf wreath is all it took to create. 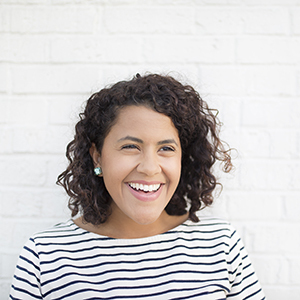 Thank you so, so much for stopping by my corner of the blogosphere! 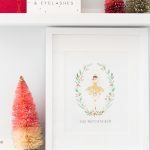 Don’t stop here, next you’ll want to visit Finding Silver Pennies, Danielle is sure to blow you away with her stunning decor. There is LOTS more to see! 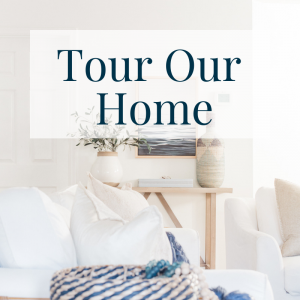 Be sure to visits all 15 stops on the Fall Tour of Homes for tons of inspiration and fall eye candy! So cute, Chelsea! And I agree, fairytale pumpkins are nearly impossible to resist! Love it all!! 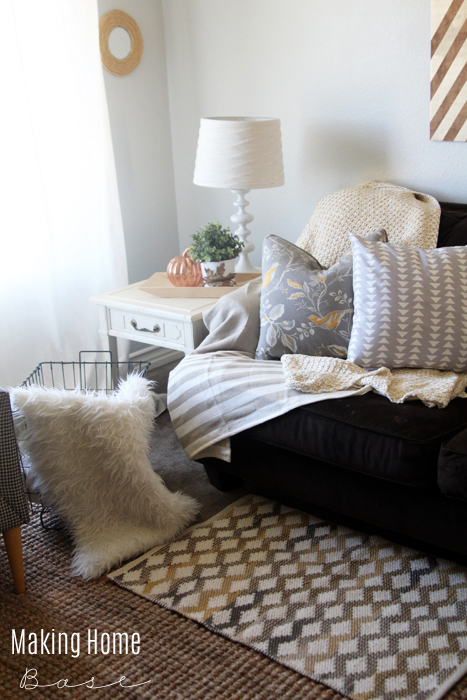 You’ve filled your home with lots of beautiful cuddly-cozy fall touches Chelsea! ! 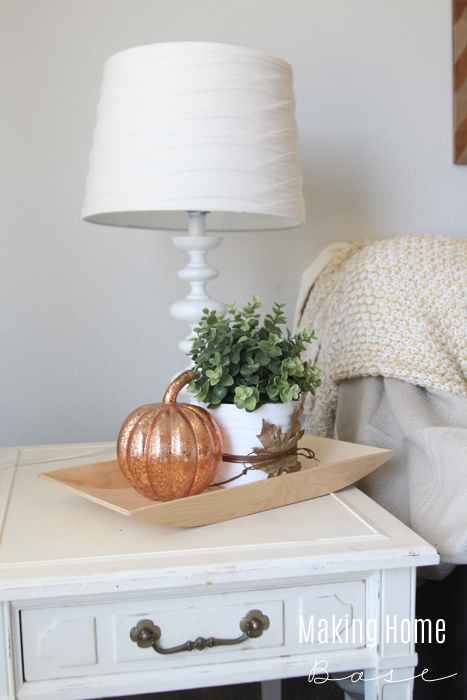 Love that copper pumpkin! Everything just looks SO cozy!!! LOVE it all!!! PS. I scored one of those copper pumpkins yesterday too! I love the colors and the simplicity of your space. Your home seems very inviting and comfortable. Loving all the handmade details, Chelsea! 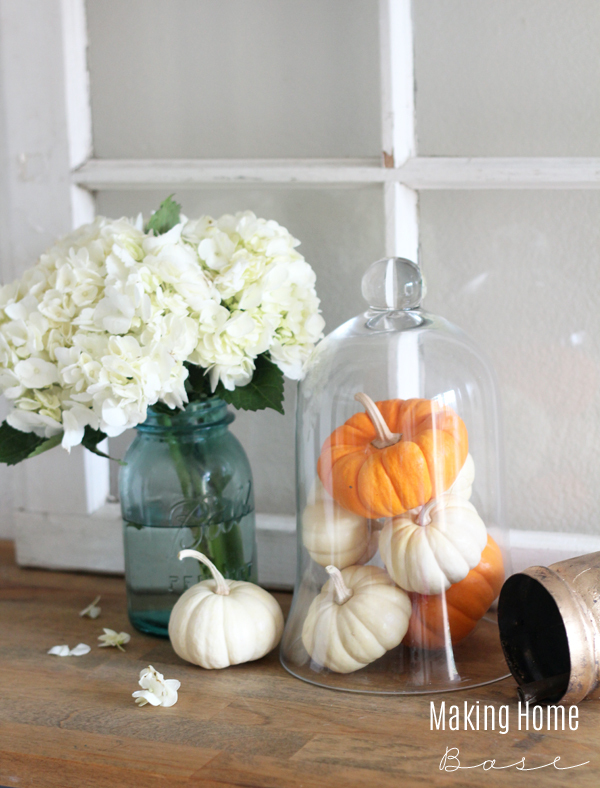 And pumpkins in a cloche- now my new favorite way of displaying pumpkins. AND, copper pumpkin is a major yes <3. OMG paint can planters are brilliant!! Thanks for all the gorgeous inspiration! I love the mums planted in the paint cans! Love it Chelsea! 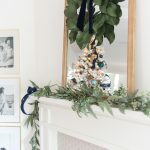 So many pretty and fresh vignettes- warm and cozy feeling yet still light and bright at the same time!! Gorgeous! Oh my cuteness! 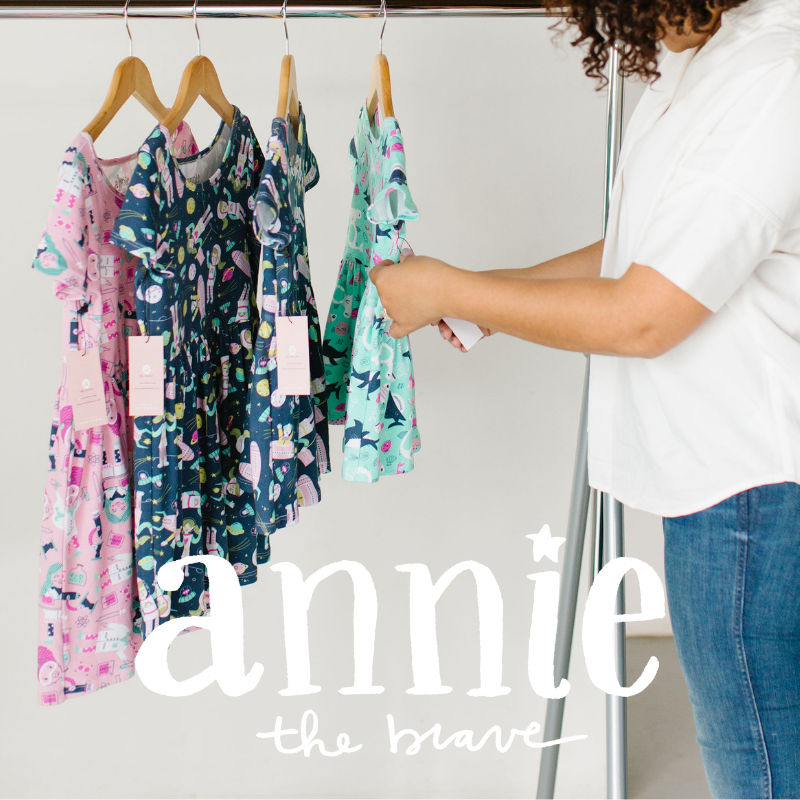 I love it all… Featuring YOU tomorrow on the blog!